Complex Says: P and Hav released their debut, Juvenile Hell, on little-known 4th and Broadway...to little acclaim or success. Thankfully, they found their voice (and a home) at Steve Rifkind's Loud Records; unfortunately, the label folded in 2001. The group was forced to move their act, and as Havoc said on "Get It Twisted," "tryin' to rip Britney, so I made Jive sign me." But that deal didn't work out either, and the next thing we knew they were rolling with Curtis "Billion Dollar Budget" Jackson over at G-Unit. 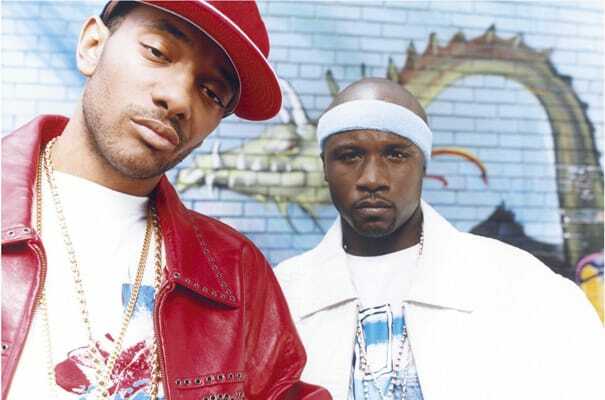 But Mobb Deep and G-Unit shared commercial woes, and would soon part ways. With Prodigy in jail and Havoc perusing a solo career, the group has been on hiatus since.